Bruce. Stevie. Aretha. U2. Pretty much all living musical icons will be at MSG for these two unforgettable shows. 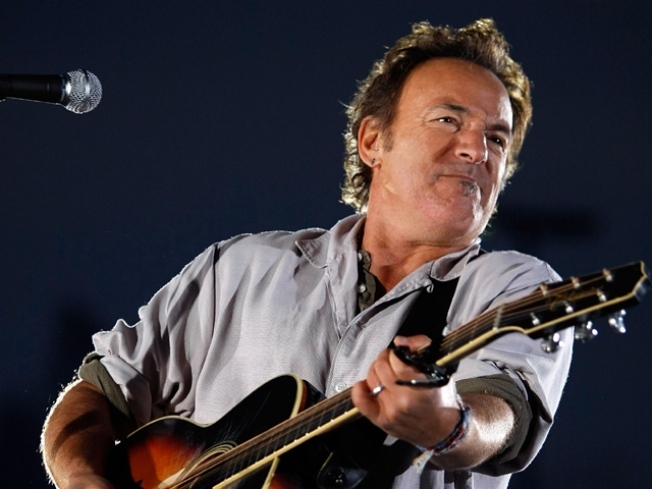 Bruce Springsteen is on the A-list marquee for the Rock and Roll Hall of Fame concerts. It’ll be kind of like Woodstock, only with a roof, real toilets, and sushi: The Rock Hall of Fame 25th Anniversary October concerts will bring a who’s who of music icons together on one stage for two mindblowing events. And tickets are still available, but going fast. The Thursday lineup is set to include Bruce Springsteen and the E Street Band, Simon and Garfunkel, Stevie Wonder, Crosby Stills Nash and Friends, Paul Simon and a smattering of as-yet-unannounced special guests. On Friday, they’ll clear out to make way for U2, Metallica, Aretha Franklin, Eric Clapton and other surprises TBD. The artists will perform their own songs and the music that inspired them. There’sll be star power behind the scenes, too: the events are being produced by a creative team including Tom Hanks, Rolling Stone’s Jan Wenner, singer-songwriter Robbie Robertson, and director Cameron Crowe. For more information and to book, go to Ticketmaster.com.